If your child has been begging to take classes at Children’s Theatre of Charlotte‘s top notch facility, listen up. CTC is hosting an open house this Saturday, August 29th from 10am-1pm. The “Behind the Scenes” Look at Education Programs is a chance for you and your family to check out everything CTC has to offer – meet the teachers, take sample classes, get scholarship info, AND register for awesome GIVEAWAYS like free tuition and tickets. This a great way to learn more about what CTC’s education department offers – for both kids new to the programs and veteran students excited for the new year. They offer classes for toddlers up to teens. 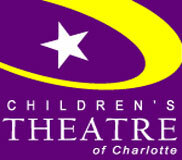 If you’re new to Charlotte, or just learning about CTC’s programs, you may wonder what a Children’s Theatre of Charlotte class is all about. Is it right for your child? What sorts of things do you teach in the classes? What’s the difference between the Creative Drama, Workshop and School of Theatre Training Program? This is your chance to get all of those questions answered – and many more! Sample classes will be offered on Saturday. 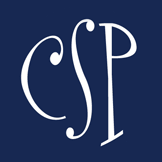 Click here for a schedule of Saturday’s events and to RSVP and reserve your spot. This is a don’t-miss event for any Smarty actor or actress!